Alison Thewliss MP heard about the importance of audio-visual announcements on buses at SNP Conference last week. She heard about the experiences of a guide dog owner who had missed their stop and been left stranded on a bus because they were unable to know where on the route they were. Sadly, this is not an isolated experience: 7 in 10 passengers with sight loss have been forgotten on a bus. Talking Buses, which provide audio-visual “next stop” and “final destination” announcements, are essential for people with sight loss to live independently. Worryingly, only one fifth of the UK’s buses are talking buses, 97% of which are in London. For a sighted person, missing a stop is an annoyance, but for someone with sight loss, it is potentially dangerous. 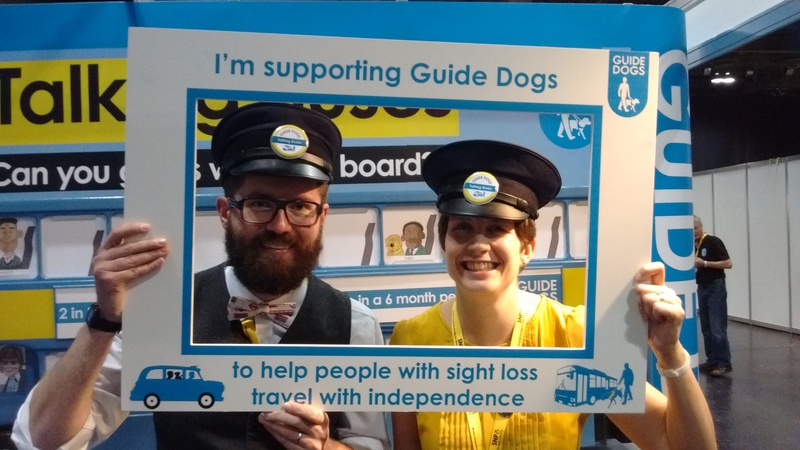 The MP for Glasgow Central supports Guide Dogs’ proposal to make buses accessible for everyone. Earlier this year the SNP called on the UK Government to make sure all new buses are talking buses, calling it a “life-changing” move. As a result of Guide Dogs’ campaign, the UK government has acted to include this proposal into the Bus Services Bill.